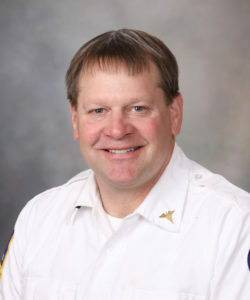 Gold Cross, the paramedic service of Mayo Clinic in Rochester, Minnesota, is proud to honor Chris Roser as a 2018 Star of Life. Chris has served patients in a variety of roles during his tenure. He has applied his training and skills as a flight paramedic on Mayo Clinic’s helicopter and airplane as well as his current role as a ground operations paramedic. While Chris says he recalls many highlights as he reflects on his career, one special period of time was when he had the opportunity to work alongside his son on calls as paramedics together. When he’s not working, Chris enjoys water-skiing and has been on a competitive ski team since 1995. He also enjoys playing hockey, traveling with his wife, and spending time with his three sons and their families.